New Chart: What's the ROI from Population Health Management? Q&A: How are Patients Selected for Intensive Post-Discharge Support? 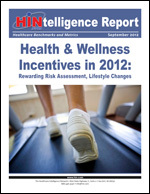 © 2012 Case Management Monitor by Healthcare Intelligence Network. "We�re looking at embedding case managers more frequently because it does help the practice to develop a rapport with the nurse and to identify more patients for the nurse to case manage."